Could this be linked to Fibromyalgia? DOES ANYONE HAVE ANSWERS FOR ME? At Family Health Advocacy we always promote addressing the underlying cause of your symptoms as the ultimate goal however when you’re stuck in a chronic pain cycle we understand that sometimes you need a little help to break free. We have lot’s of great tools available to help you heal like our Chronic Pain Protocol but understanding the cause is an important first step and then possibly finding something non-invasive and natural to reduce your pain to get started. When the muscle pain began you didn’t think much about it. You thought to yourself that it’s normal and everyone has to deal with pain sometimes, so it made sense just to ignore it and hope that it would go away on its own. However, it didn’t. The pain continued and was either frequently intermittent or constant, which started to concern you more. It started to affect your mood and possibly your relationships. Simple activities like going for walk became more difficult, and if you’re a parent, then it’s possible the pain is even affecting time with your children. You decided to finally get help and went to see your doctor. They may have told you that what you’re experiencing is all in your head, and you should eat healthier and exercise more. But you know the muscle pain and/or fatigue is real and makes it difficult sometimes to even get out of bed some days, let alone go for a walk. They may have given you pills that you don’t want to take and furthermore, they don’t work. This leaves you feeling stranded with nowhere to turn because you want to exercise but can’t. You want to get better, but don’t want to take any more ineffective medication… because it’s not working, and you know that the side effects can be worse than your original symptoms. Have you been told that your muscle pain is caused by Fibromyalgia? If so, what is Fibromyalgia anyway? Some go as far as saying that it doesn’t even exist but we disagree… somewhat. As a disease label with a single cause and a simple pill solution being the answer, then no that is not Fibromyalgia. As a collective of symptoms with potentially multiple causes and therefore requiring a multi-approach solution, then yes Fibromyalgia is real. The first place to start is to take our FREE online Fibromyalgia Test. This will help you understand if Fibromyalgia is the issue and then you can start by breaking the pain cycle and implementing our Truth About Fibromyalgia Protocol. Being a health professional helping people with chronic pain conditions for over a decade now, I’ve been presented with many products like these. As long as it ticks all the boxes above then I’m willing to try it. However, sometimes a particular product is much different from the rest and stands out. This is exactly what happened with Muscle Care™. Countless patients of mine reported amazing results with the pain relief function of this product which would be enough for us at Family Health Advocacy to endorse it however, I even have an emotional personal story with this product that I would like to share. In the summer of 2007 I was an excited student just entering the final year in my professional studies. This meant we that we finally started seeing patients in clinic and began to help people with their health problems. Unfortunately, at that time there was one person who discovered she had a major health crisis that was beyond my scope as a health practitioner. That person was my mother and her major health crisis was cancer. She fought long and hard and as grateful as I was to have another decade with her, just like most cancers, she was in pain for most of that fight. She didn’t need any more toxic chemicals in her body so discovering Muscle Care™ was a blessing. She was able to extinguish much of her pain that was related to joints and muscles naturally and more importantly, she was able to stay physically active rather than stuck in bed or on a couch all day. Nothing else I tried before with her worked as well. This triad of functions really sets this apart from it’s competitors not to mention the amazing results they found while conducting gold standard clinical studies. Lab at the University of Toronto proved that Muscle Care outperformed it’s top competing products like Icy-Hot, Bengay & Biofreeze and was even shown to be marginally more effective than medical/pharmaceutical products like Voltarin, Diclofenac and NSAIDS. If this natural product is even better than a pharmaceutical drug intervention why wouldn’t you go that route? Muscle Care™ is so safe that even pregnant or lactating woman can use use it. 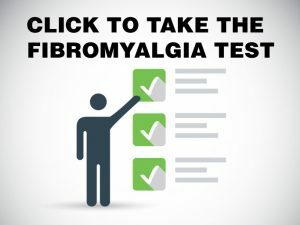 I recommend that you give it a try but remember this is just the first step in your healing journey and yes it will help you break the pain cycle however if you are going to beat your chronic pain or Fibromyalgia for good then there are other action steps that you need to take which we detail for you in our Online Truth About Fibromyalgia Protocol. 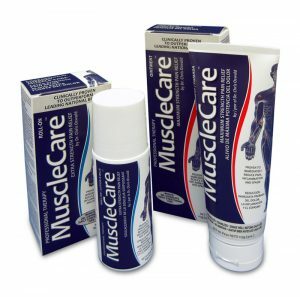 MuscleCare Extra Strength Roll-on and Maximum Strength Ointment are the strongest all natural scientifically based topical pain relief analgesics, anti-inflammatory, and anti-spasmodics available for over the counter sales. We have made pain relief easy and effective. We definitely recommend it! Don’t forget to use the promo code “fha10” for a 10% discount!